Does Summer Camp Look Good on College Application? Camp Quinebarge has been the summer home for kids for over 80 years. 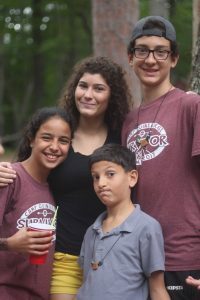 Campers form everlasting friendships and learn to be themselves at Camp Quinebarge. There are many benefits to sending your child to a summer camp including enjoying the outdoors, unplugging from electronics and making everlasting friendships. One hidden benefit some may not realize is that putting that your child went to a summer camp on a college application really stands out. Admissions counselors know that kids that went to camp know how to work as a team, communicate effectively and be a leader. 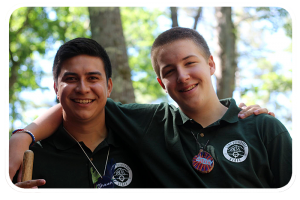 Not only is going to camp a application booster but being at camp, campers benefit from learning how to live independently. So the real question is how does going to camp help with your college application? 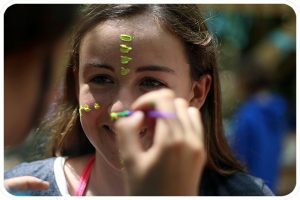 During the first couple of days at Quinebarge every camper will do something that they never in their wildest dreams thought they could, like climb the biggest mountain in New Hampshire or perform a skit in front of the whole camp. Stepping outside their comfort zones and accomplishing things they never thought they could. In these moments our campers become leaders . Quinebarge campers say how much they love being encourage to accomplish goals by our trained staff. Quinebarge parents find that these accomplishments are often ones that campers write about in their college applications. Quinebarge’s own CO-Director Nick Hercules is a former D3 and NAIA college basketball coach . Hercules says that when looking for quality communicators on and off the court the best come from camps. While recruiting for his team Coach Herc would always find that players that went to camps really adjust to the college life naturally. Our campers continually tell us about how Quinebarge is their home away from home. At Quinebarge your camper will get a taste of independent living while also always having a counselor there with a helping hand. Parents especially our CIT parents say how Quinebarge prepared their child for college by giving them a schedule, constant feedback ,and independence.